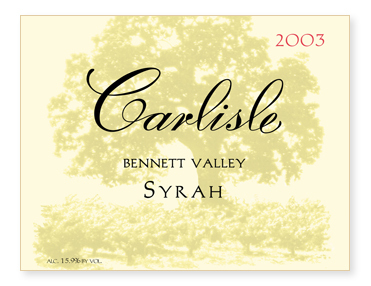 Our first Syrah from Bennett Valley, one of California's newest appellations! Bennett Valley, located just south and a little east of Santa Rosa, is known for its cool climate and incredibly poor, rocky soils. All the fruit for this wine came from the Judge Family Vineyard on Grange Road. Syrah? On a road named "Grange"? Sounds like some pretty good juju to me! Picked October 29th, it was apparent from the get go that this fruit was special. Hence, we decided to really push the limits on this bad boy - 15% bleed-off, eight days of cold soak, an indigenous fermentation that continued for 4 months.